Whether you’re adding roof vents to your roof deck or attic, you’ll find that knowing the different types of roof vents will be handy for choosing the right type to install in your home. The idea of roof vents existed for hundreds of years with natural vents employed in Chinese buildings during the Tang Dynasty, natural ventilation ducts in the Buddhist monks’ caves, and wind catchers incorporated in Arabian architecture. Vent roofs with steeples, towers, or cupolas can be found in different buildings from barns to cathedrals. The building codes and building science for natural roof ventilation, however, only appeared in the 1940s. Roof ventilation in a cold climate vents moisture and ensures a cold roof temperature to avoid ice dams. In a hot climate, roof vents expel hot air from the roof or attic while relieving the load on the air conditioning system. These are static vents without any moving parts and are installed over a hole that has been cut into the roof. By using natural convection, they make an opening in the roof that allows both moisture and hot air to escape from the house. They are generally made of very hard plastic, but they are also available made from metal and can be bought in a number of different colors so that they will best match the roof of your home. While they can be installed anywhere on the roof, they are much more effective when they are installed near the roof ridge, as this allows the most moisture and heat to escape. Because they are not the most effective roof vent on the market, it’s normal to require multiple box vents on one home for the best results. While these have moving parts, they do not rely on electricity to move, but rather on the wind for power. 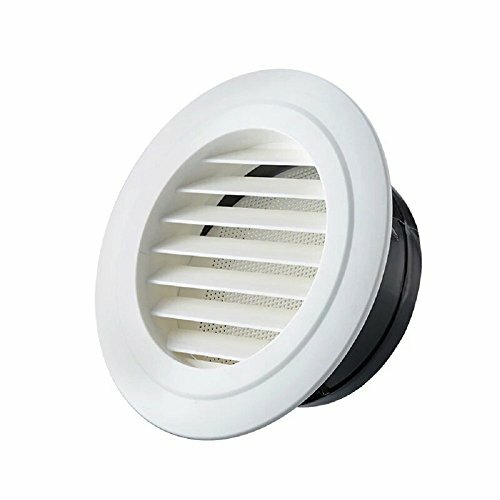 As long as the wind is constantly blowing, wind turbine vents do a wonderful job of venting more hot and moist air from the home, but when there isn’t any wind, then they are similar to a box vent in their effectiveness. Because wind turbines can wear out quickly when they are used in a windy area, it’s a good idea to opt for ones that have ball bearings that are permanently lubricated or plastic bushings. This will ensure that the vent doesn’t wear out prematurely. Less expensive versions tend to squeak when they are in motion. The spinning of the turbine is what is able to actually draw moisture and hot air out of the attic of the home, which helps to prevent damage. This is another type of static roof vent that doesn’t have any moving parts. Unlike box vents or wind turbines, these vents are very long and are placed down the whole length of the home along the top ridge. This means that you will have a lot of venting and that, as long as they were installed correctly, it will be very difficult to tell that you have vents on your roof, making them very attractive. They are very efficient at venting out moisture and hot air from your attic due to their size, and when they are used in combination with soffit vents, they are incredibly efficient. Because they do not create hot or cold areas in your attic the way that other vents do, you don’t have to worry about parts of your roof aging faster than others. This can help to extend the life of your roof, and it is a good reason to consider this type of vent. Power vents run on electricity and rely on large fans to drive all of the moisture and hot air out of the attic of your home. They are available in many different colors, so they will blend in with your roof, and some have advanced features that make them not only easy to use but also incredibly beneficial. One great feature to consider is a power vent that has an included adjustable thermostat. This will allow the homeowner to set the fan to automatically turn on when the temperature in the attic reaches a certain degree, which ensures that you can protect your attic from getting too hot. There are also some models available that have humidistats. These operate very similarly to the power vents that have a thermometer, except they will turn on when the attic has a certain humidity level. While most power vents are hardwired into the home’s electrical system, there are some that you can choose that run on solar panels. These tend to be incredibly quiet and do a great job at venting your home. One problem that some homeowners run into when they have quiet models installed is that they do not know when the power vent breaks and stops working. For this reason, regular testing is recommended. One problem that some people run into when they use a power vent in their home is that they will pull cool air out of the home up into the attic to help cool down the attic air during peak summer temperatures. Because power vents accomplish this by pulling cooler air from the home through the light fixtures, attic access, and even wiring penetrations, they can make it very expensive to cool your home, as they are constantly removing cooler air from your house and moving it to the attic. While very attractive, cupola vents are often only used for decoration. However, you can use your cupola vent as a static vent. These vents sit on high walls and frame an opening that has been cut into the roof to allow moisture and hot air to escape. They can be functioning roof vents, but they are generally used as a support vent to another primary system because they are not as reliable, nor do they offer the same abilities as other venting systems. Many people mistake off ridge vents for box vents, and while they are very similar in their functions, they do have some differences. These vents are static vents that are placed over holes in the roof close to the roof ridge. Unlike box vents, which are square, off ridge vents are usually much longer and thinner. They let moisture and hot air exit the attic, but they aren’t nearly as effective as other types of roof vents, and homes generally need to have several of these units for the best results. These vents are installed in eaves and soffits and are generally made of aluminum or PVC. They are great to help increase airflow through your attic and to help vent out moisture and hot air, especially if your home only has small vents on the roof. These vents allow air inside the attic to exit through the lowest location of the soffit and provide incredible ventilation and air movement when they are used in conjunction with ridge vents that run the entire length of the roof. 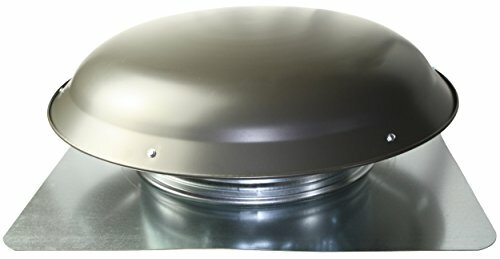 This type of roof vent is only used on a greenhouse instead of a regular home because it opens up completely and exposes the inside of the greenhouse to the elements. They have to be manually opened up when you want to reduce the heat and humidity inside of a greenhouse, but since they are so large, they are able to quickly decrease the inside temperature, which can be life-saving for plants and seedlings. Unlike roof vents that are installed on your home, this type doesn’t operate unless it is open, which means that the person using this roof vent needs to be willing to open and close the vent as the monitor and control the temperature and humidity inside the greenhouse. This type of roof vent is ideal if you do not want to run electricity to your vent or when you simply want to passively allow moisture and hot air to leave your attic. They can be placed all over your roof, and they come in different styles, colors, and sizes. By mixing the types that you choose or by installing multiple static roof vents, you can make sure that you are able to vent as much hot air from your attic as possible. Moving vents have the benefits of actively removing hot air and moisture from your roof, but you will have to rely on wind power to operate these roof vents. The most common type of moving roof vent is the wind turbine. These are very easily recognizable, as they are rather large when compared to other types of roof vents, and they tend to squeak or rattle when they are moving. The problem with this type of roof vent is that when it is a still day, you will not have the venting power that you want or that you would get from an electric roof vent. While you will have to run electricity to your roof vent if you opt for an electrical option, this will ensure that you always have a running roof vent. If you live in a very hot area or suffer from a lot of moisture in your attic, then this is a great option, as you won’t have to worry about whether or not the heat and water can passively exit your roof through a vent. It’s important to hire a professional to install this type of roof vent for the best results, and hiring a professional will ensure that you are safe and that it will work properly. If you want a powered, not static, air vent, but you don’t want to run electricity to your vent, then opting for a solar one is a good choice. These will have a solar panel that sits on the roof to power the vent, so you have to make sure that you live in an area without trees that will prevent the sun from getting to the panel. It’s important to research your new roof vent before you have it installed, especially if you do not have a lot of experience with solar technology so that you understand how it operates and is able to choose the one that is the best option for you. Otherwise, you may have a roof vent installed that doesn’t meet your needs or provide you with the movement that you require.